What Are The Churches Teaching? R.J. Rushdoony: 00:01 What are the churches teaching? R.J. Rushdoony: 00:03 This is R.J. Rushdooney with a report on a report on our threatened freedom. R.J. Rushdoony: 00:08 Earlier this year, a survey of American youth revealed some surprising as well as disturbing facts. The Gallup Youth Survey showed that 50% of our teenagers attend church or synagogue weekly. The rate of church going among teenagers is higher than that of adults. Only 40% of American adults attend church or a synagogue on a weekly basis. The survey however turned up some very distressing facts. Although most of the teenagers believe that The 10 Commandments provide valid rules for living. Most of them could not say what those rules are. They believed in The 10 Commandments, but were not sure what they are. R.J. Rushdoony: 00:58 With respect to the New Testament, three simple questions are asked. Can you name the four gospels of the New Testament? How many disciples did Jesus have? What religious event or happening is celebrated on Easter? Only 30% of all those surveyed answered all three questions correctly. Even those teenagers who went to church regularly flunked this easy test. Only 43% of them had all three questions correctly answered. 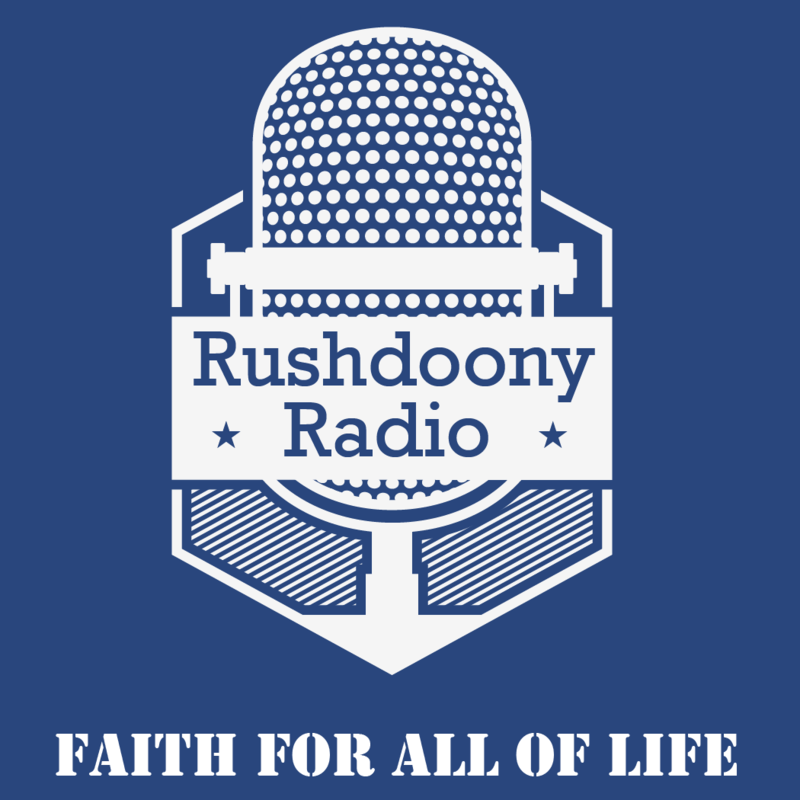 R.J. Rushdoony: 01:36 By the way, how well would you do? R.J. Rushdoony: 01:38 This survey points up some devastating facts. Both the home and the church are failing to provide the religious education and the faith they profess. In fact it would appear that the church is simply, in all too many cases, babysitting the younger children, and entertaining the teenagers. We should not be surprised therefore if someone, whose parents describe him as a good Sunday school boy, gets involved in serious delinquency. R.J. Rushdoony: 02:09 When the church cannot teach the most elementary facts of the faith to its children, it is a failure. Even more, it is irresponsible to society, faithless to God and generally a detriment to religion. The question remains thus, what are the churches teaching? R.J. Rushdoony: 02:28 If they cannot pass on the elements of religious knowledge, what justification do they have for their existence? After all, Christ himself declares, “ye are the salt of the earth, but if the salt have lost its savior, wherewith shall it be salted? It is thenceforth good for nothing, but to be cast out, and to be trodden underfoot of men”. It would appear that all too many churches have been ladling out sugar, sweetness and light, and have forgotten what it is to be the salt of the earth. And a light to give light to a city. All freedom is in essence a religious fact. R.J. Rushdoony: 03:13 It requires us to commit ourselves to a way of life at the price of some other things. And this commitment is inescapably religious. Our freedom today is waning, because our faith is lacking. We are more dedicated to self interest than to freedom under God. R.J. Rushdoony: 03:34 This has been R.J. Rushdooney with a report on our threat to freedom.